Happy Good Friday everyone! Hope you are ready for Easter Sunday! We decided to last minute house my husband’s family on Sunday. Nothing crazy, just an Easter Egg Hunt and dessert. Of course, you know I’m gonna go all out. I’ll share what I have planned below! 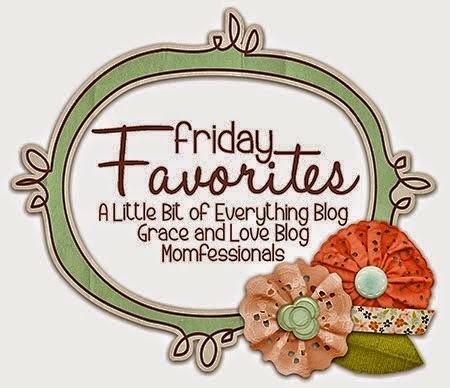 I’m once again tagging up with some of my favorite blogs for my Friday Five! Cheers! Does anyone watch this show? I adore it! I’ve been watching it since it started and she makes the most approachable food. The episode this week was pizza and she put grapes on it. I’m intrigued! I’m also excited to try her Pimento Cheese and Goat Cheese & Red Pepper Frittata. Our swim suit season starts next week as Miss H begins 4 weeks of 2 a day a week swim lessons. When we first put her in swim lessons at 7 months, her daddy did all the lessons. It’s cheaper during the week and a great activity for us. I ordered this suit from Prissy Paisley a while ago, and it came yesterday. Isn’t it adorable? They still have some available – it’s a closed buy in group on Facebook. Happy to connect the dots for you! 3) Find of the Century! My cousin magically scored me the find of the century this week at Goodwill. I don’t know how Lilly for Target showed up there, but it is in mint condition and was only $10! There was also a pink one, and I let me cousin keep that one for her epic Lilly eyes. She doesn’t even wear Lilly! I think I’ll likely use it as a pool bag this summer – it’s pretty big and maybe use the scarf as a head wrap. Either way – awesome find! As I mentioned, after we go to my Mom’s house for brunch, we’re headed home for a nap for Miss H, and then it’s hosting for my In-laws and hub’s brother & sister’s families. I think this will be the first day I let myself cheat and have sugar. I’ve done SO well. Luckily, it’s just dessert, so I don’t have much to do, but of course, I go all out. Chocolate Covered Strawberries that look like Carrots! Well, I am almost done with week 2. I will say, I’m feeling good, not craving the sweet like I used to. I have added Agave Nectar, Honey and Maple Syrup (teeny bit for oatmeal) into my diet. My logic was it isn’t processed sugar, so it can’t be as bad. Right? As of today, I am down 4.5lbs and I haven’t done anything except eliminate sugar. Not bad, eh? Earlier in the week I went to Starbucks and got an iced coffee not knowing that a standard iced coffee is sweetened ( I usually get 2 raw sugars). I took a sip and I couldn’t drink it, it was WAY too sweet. I know – crazy! I haven’t done as well as I’d like keeping up with my water intake. I’m drinking too much iced tea. But bonus – I did figure out how to make a skinny margarita, skinny lemon drop martini and found Hibiscus Tea K-Cups! I think I’m gonna fall off the wagon on Sunday, and jump back on Monday. I joined a Biggest Loser contest that starts on the 10th, so I’ll have to stay focused on that too! Seriously jealous of that bag, it's adorable!!! Happy Easter to you and your family! I feel like dinner at tiffany’s is a show I should be watching! 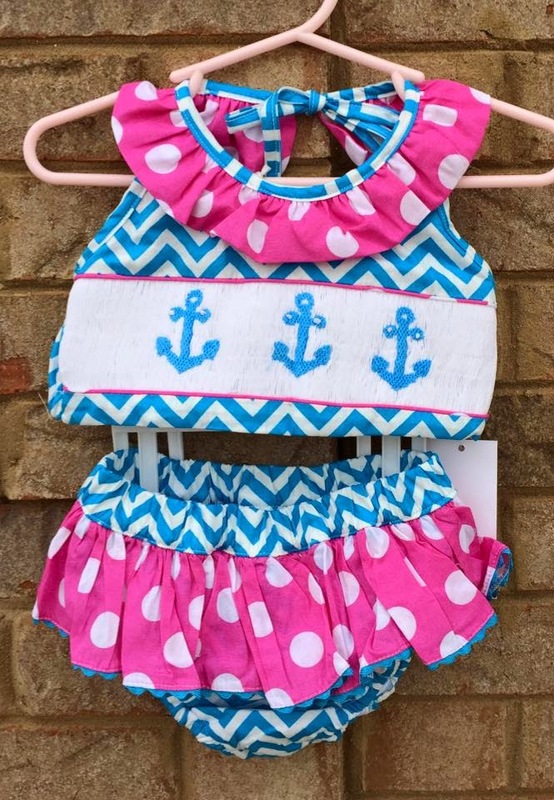 How darling is that bathing suit! 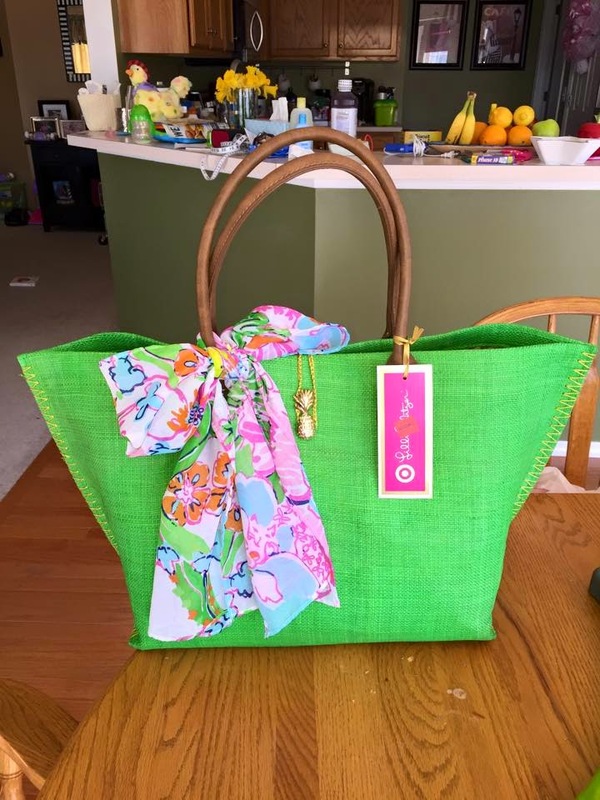 Wow that Lilly bag for $10 is fabulous!! What a fab find that bag was!! Loving that sweet lit'l swim suit too! Hope you and your family enjoy a beautiful Easter weekend!